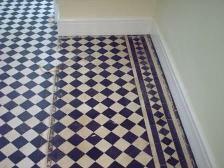 TILE DOCTOR ® Victorian Tile Restoration. 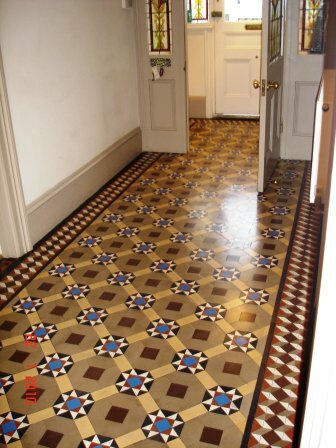 A hard wearing tile that gives a classic look to any space which is commonly found in the reception areas of older buildings, especially in hallways. 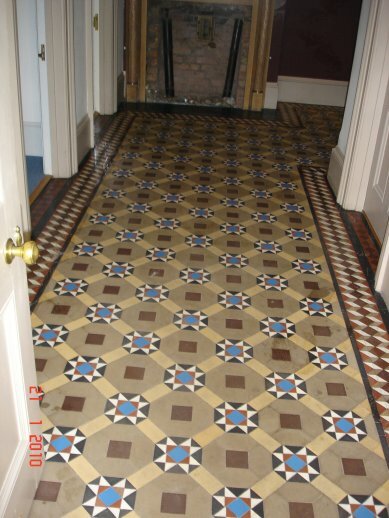 We often find that the beauty of these tiles are hidden under years of grime and neglect, however all is not lost they can be restored, see below for details. 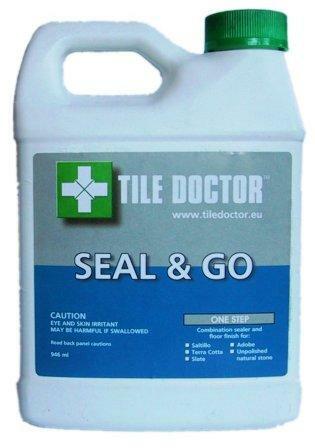 To remove any excess sealer before cleaning use Tile Doctor Remove & Go Sealer remover. For difficult floors mix Pro-Clean with Nanotech Ultra Clean for a double whammy cleaning solution. Nanotech-Ultra Clean incorporates Nano technology to help lift the dirt from the tiles (it really works), especially useful for those hard to clean floors where the dirt has ingrained itself over many years. Remove any cleaning solution using a wet-dry vac machine (any cleaning solution left on the surface may impact the performance of the sealer) then neutralise floor with clean water prior to sealing, remove with a wet-dry Vac machine and allow to dry for 12 hours or more. 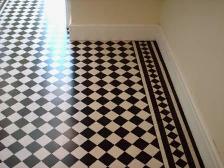 For a low sheen finish on internal floors apply Tile Doctor Seal & Go sealer using a paintpad applicator and tray. 4 to 5 coats of sealant may be required, always allow to dry before applying furhter coats. Use a water test to achieve full cure sealability (F.C.S.). Alternatively for external areas or a no-sheen finish use Tile Doctor Ultra Seal sealer using a paintpad applicator and tray. Slate tiles may require up to 2 or 3 coats, always allow to dry before applying the next coat. Use a water test to achieve full cure sealability (F.C.S.). Most sealers break down after 2-3 years (depending on usage and cleaning products used) so for regular cleaning use a sealer friendly cleaning product such as Neutral Tile Cleaner which has been especially formulated for the regular cleaning of Sealed Stone and Tile surfaces keeping them fresh with a pleasant mint scent. 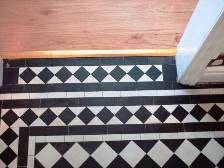 Victorian Floor Problem? 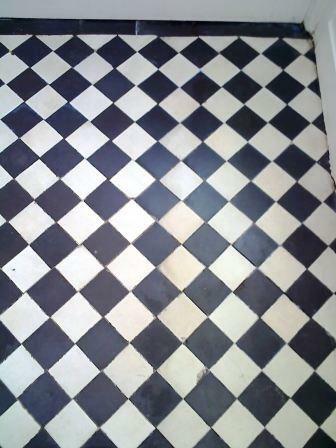 Click here to Ask the Tile Doctor for his advice. 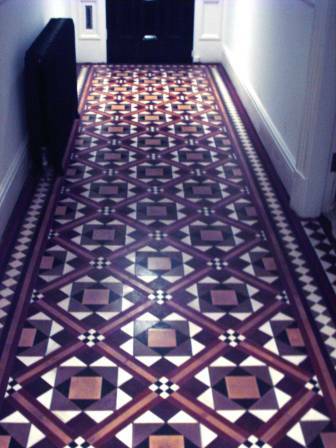 Essex We have discovered in our hallway a lovely Victorian tile floor. Unfortunately it is stained and discoloured as well as having deep dirt marks. 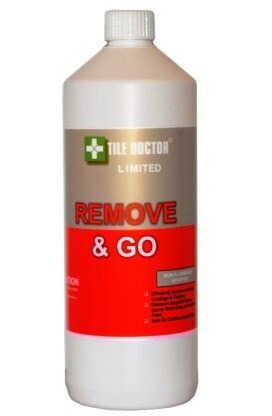 We have tried tile cleaners from local tile shops but with little effect. Are your products considered stronger than in the shops and so remove these stains/marks? Also the colour in the red tiles in particular is patchy and dull what do you recommend to restore them to their former glory. A lot of the solvent based products available in the UK have been diluted in order to comply with new European health and safety regulations. The products we use are streets ahead of their rivals because they use water based poly cure technology which has the added benefit of being better for the environment. Wrexham Hello Tile Doctor. 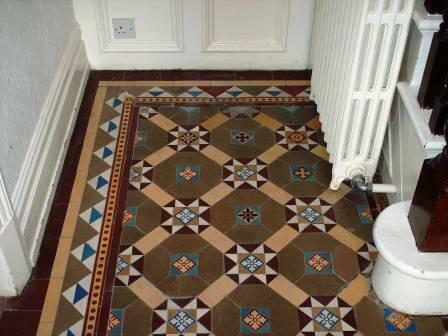 We have a Victorian tiled floor in our utility room. Someone has glued carpet gripper rods to it - we want to get them off without damaging the tiles. Can you help? You can use Remove and Go for this purpose, cover with plastic sheet over the remover so it doesn't oxidise, leave for 30 to 40 minutes and then the hard glue should scrape off. London I am attempting to clean an exterior Victorian chequerboard style tile pathway. 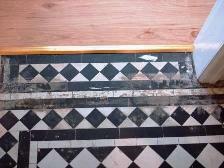 Can I use an acid based cleaner for this purpose as the tiles are rather discoloured, especially the white ones. 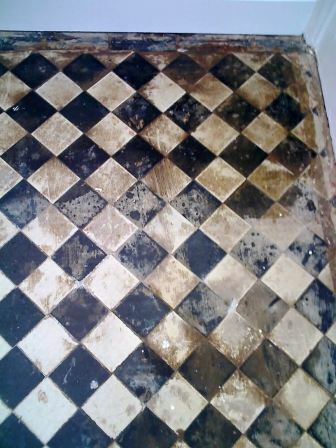 Thanks for the e-mail, however please don't use Acid cleaners for any tiles as they will only damage them, try an alkaline cleaner instead, we have one called Pro-Clean Tile And Grout Cleaner, if it is outside you may be able to use a power sprayer as well, and that should give you a good result. Ps... We sell a sealer called Ultra Seal, it works outside and inside.